Tired of not being able to stream music wireless to your car? The plug and play tune2air bluetooth adapter streaming works as if factory fit with your BMW 335d 2010 or any BMW and MINI Cooper having iPod integration. The WMA3000B is a plug-and-play adapter designed for integrating wireless Bluetooth music streaming (works with Android or iPhone) with the original USB/AUX iPod integration kit found in the glovebox. If your has this option then the WMA3000B will be compatible. 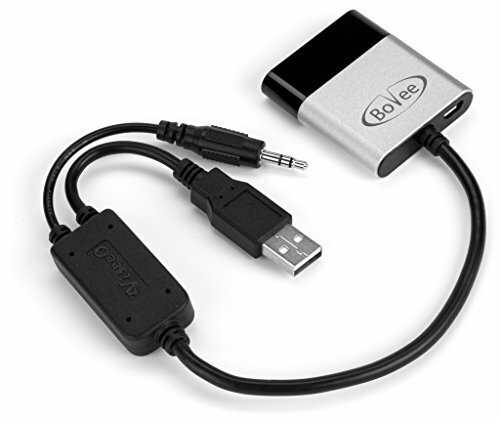 Instead of manually plugging the iPod into the cable connected to the AUX/USB socket every time you enter the car, you instead connect the Tune2Air WMA3000B with integrated Y-Cable to the original AUX/USB sockets which you would have normally connected your OEM BMW/Mini iPod lead to. The Tune2Air is then left in the car permanently connected to the original iPod socket. Once the Tune2Air is connected to your car and paired with your iPhone/iPod, every time you re-enter the vehicle the Bluetooth connection will be established automatically, meaning that your full music library will be instantly accessible on your in-car iPod interface, without having to remove the phone from your bag/pocket and manually plugging into the cable. This allows for a much more enjoyable in-car music experience as you can simply get in and drive, without the risk of leaving the iPhone/iPod in the car after the journey. Bluetooth Media Streaming for BMW 335d 2010 from any phone. Android support for music streaming.